Another installment in the 3D fighting game series by Bandai Namco Entertainment, based on the extremely popular manga by Akira Toriyama. 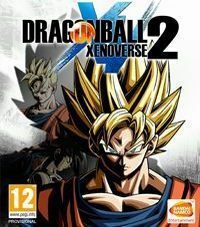 Dragon Ball: Xenoverse 2 utilizes the formula found in its predecessor by combining an original plot with lements from all the series of the anime: Dragon Ball, Dragon Ball Z, Dragon Ball GT and Dragon Ball Super, as well as those from the movies. Thanks to this move, the game features a multitude of familiar characters. There's also an option to create a custom hero, with the gender, appearance and powers of your choice. The gameplay focuses on battles taking place in 3D areas, during which you use attacks and powers derived from the original manga and anime series. You can also once again explore the large hub city, where you can choose quests to complete and battles to take part in. The game features the original anime voice actors and the cel-shading technology, which gives the production a distinct comic-book-like style.